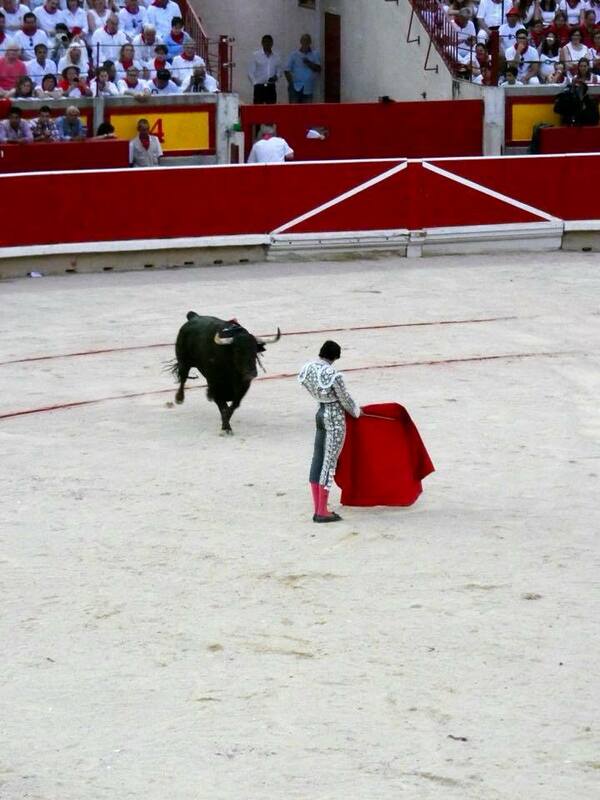 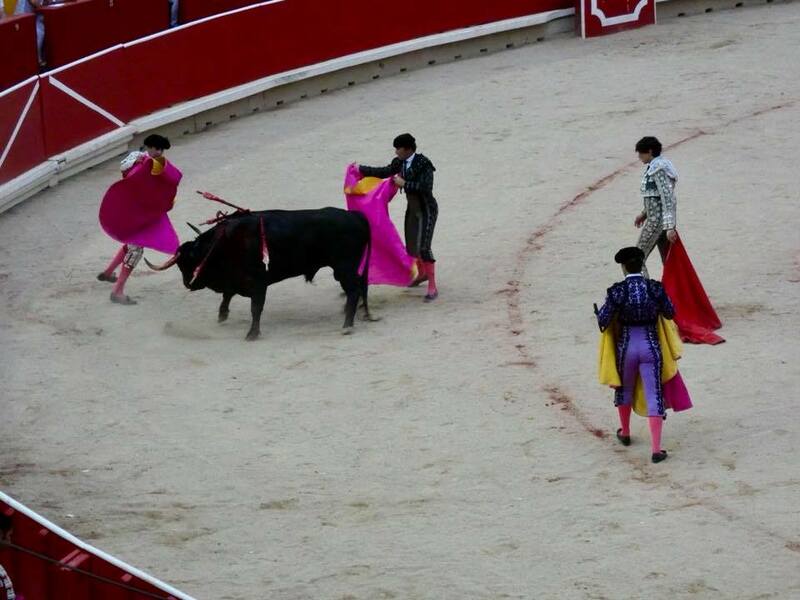 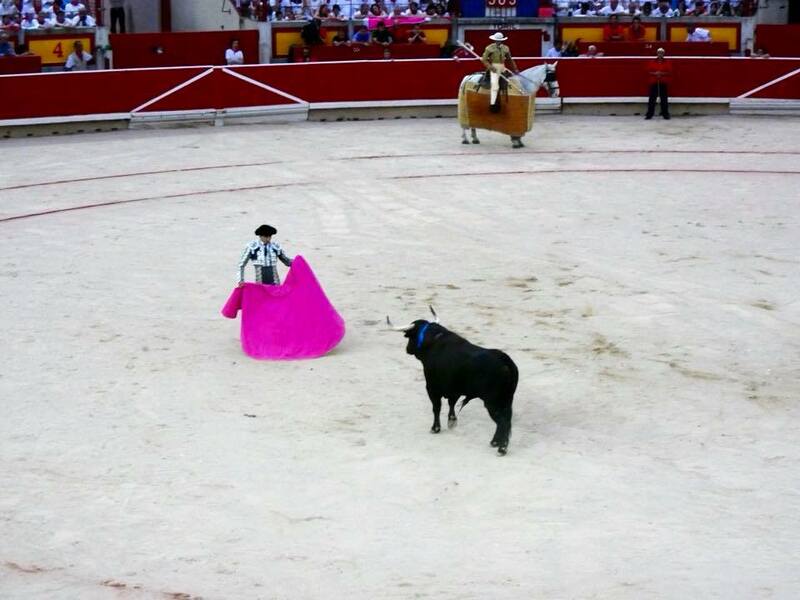 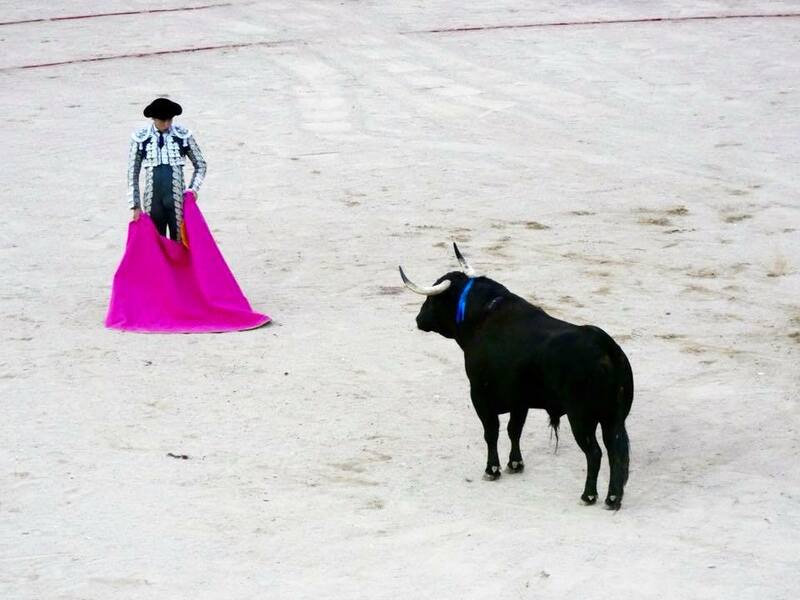 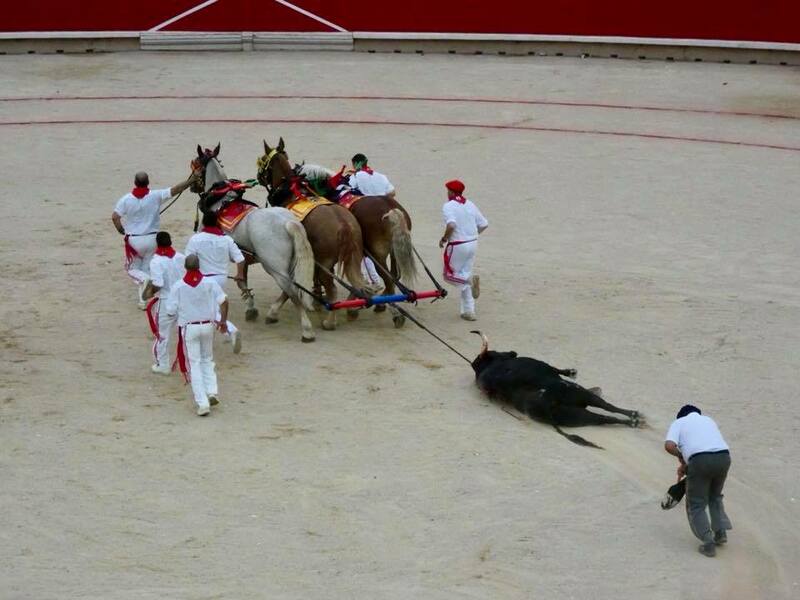 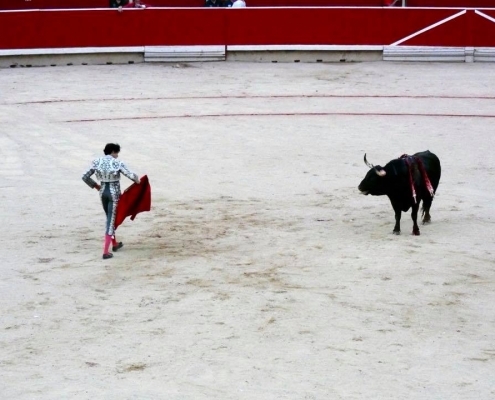 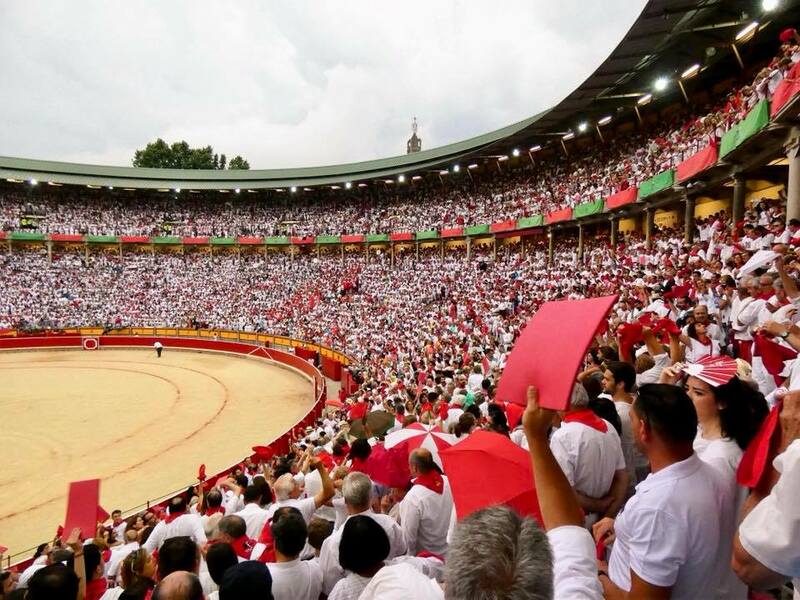 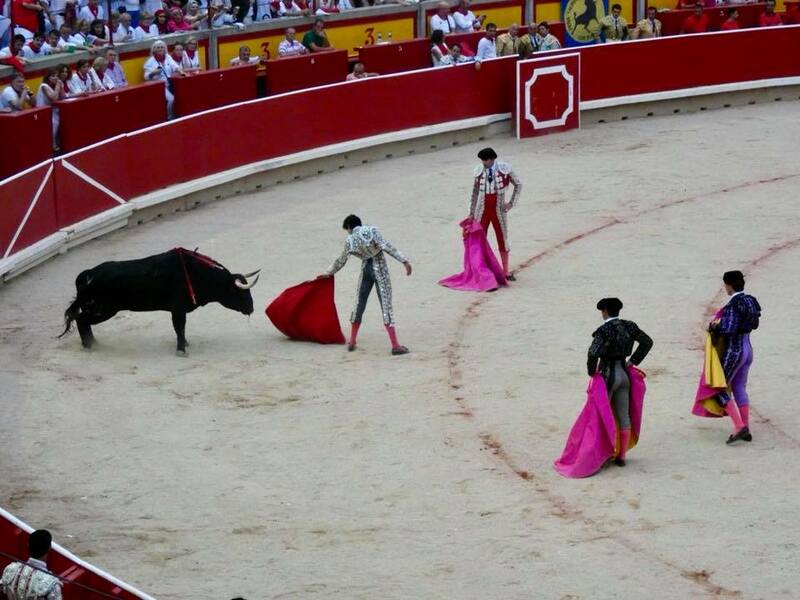 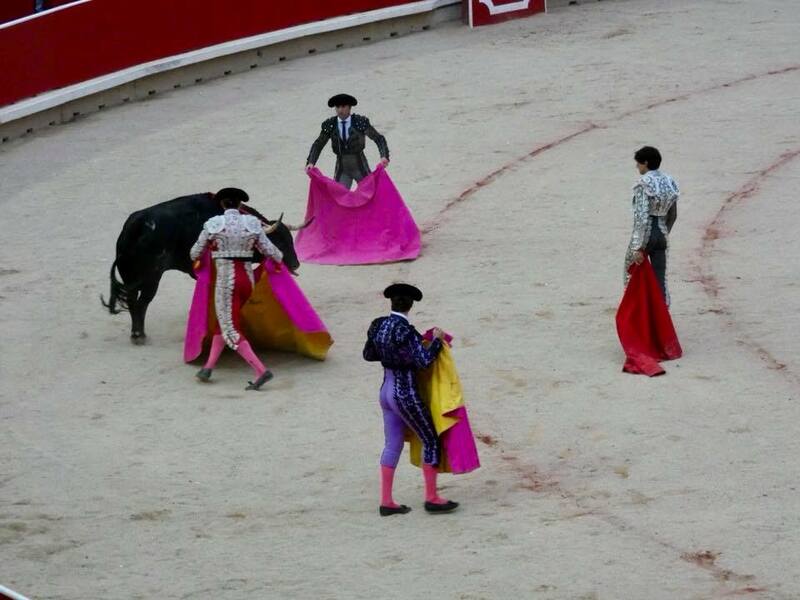 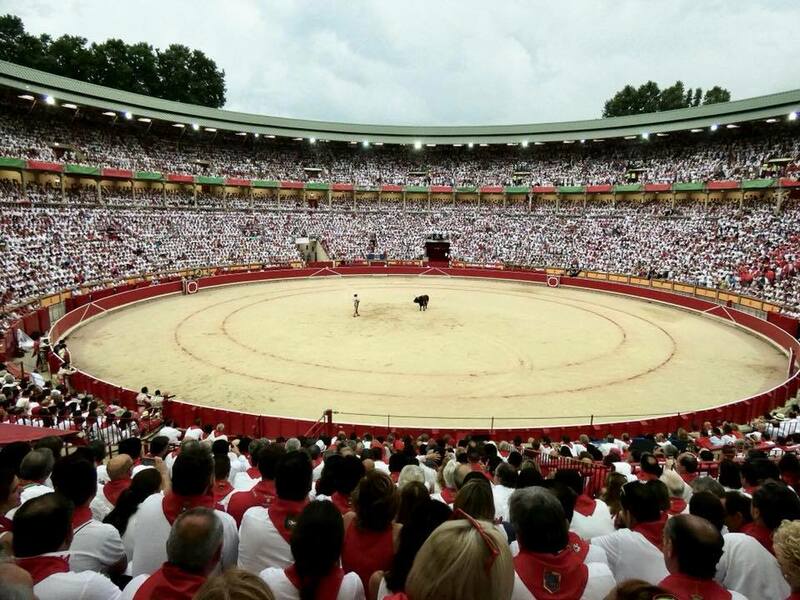 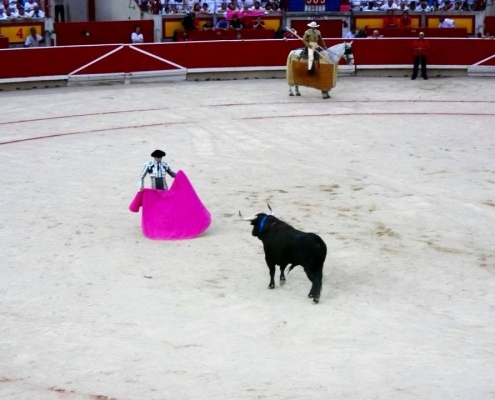 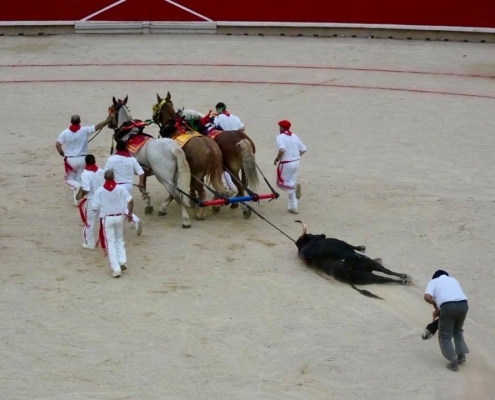 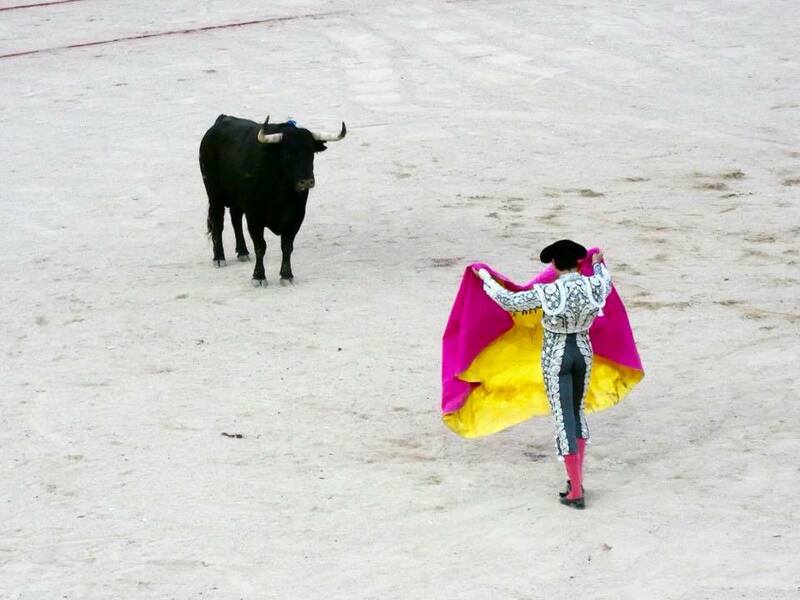 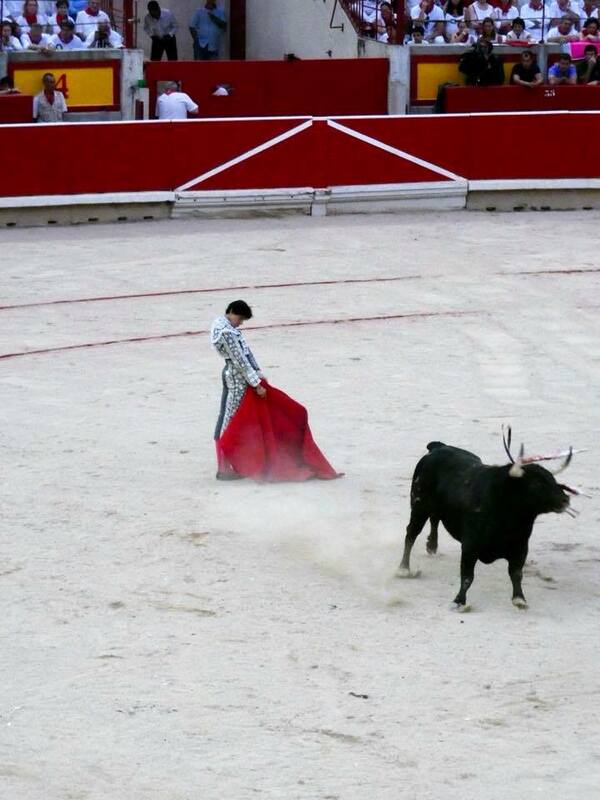 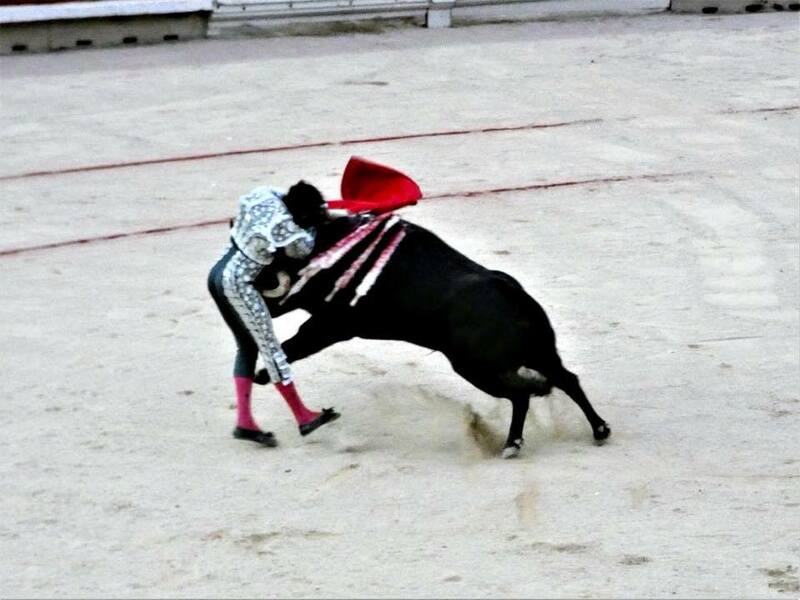 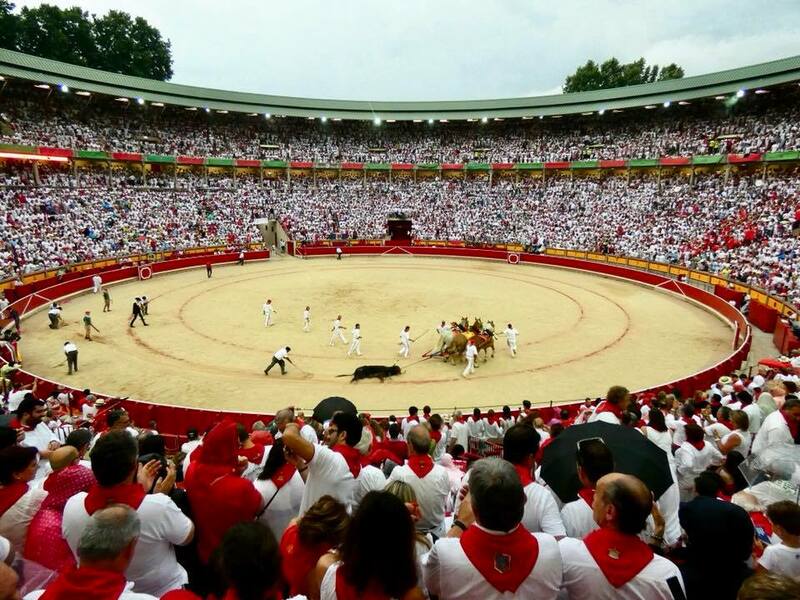 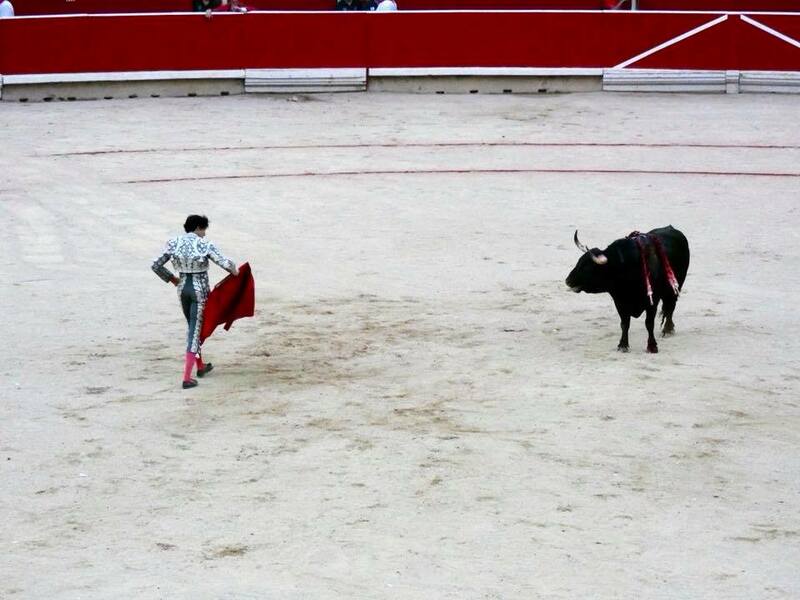 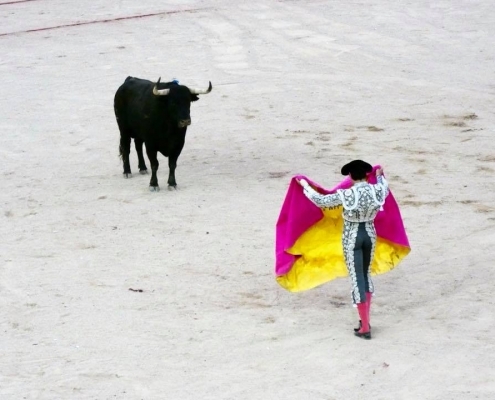 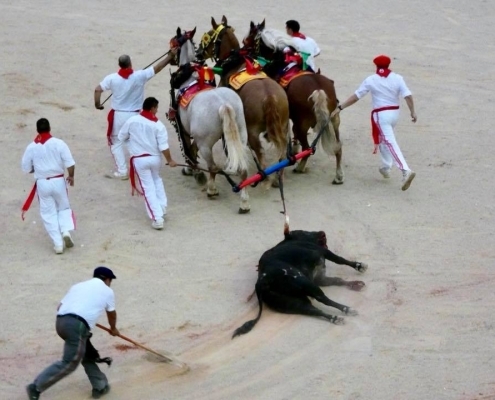 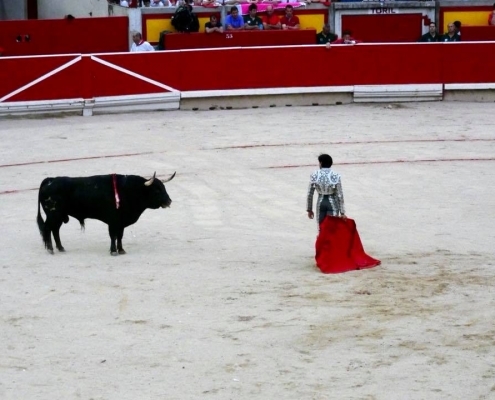 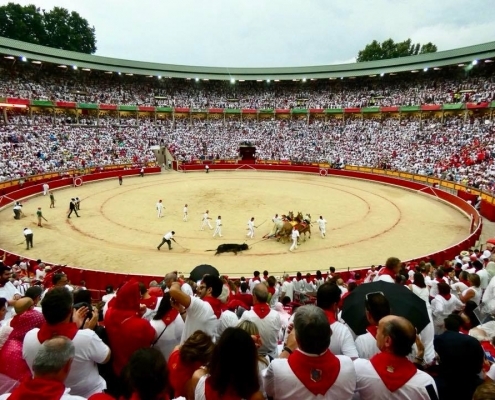 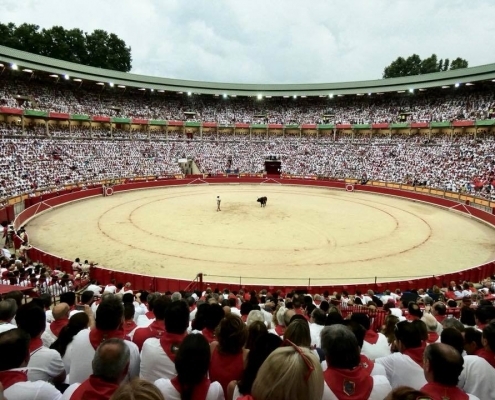 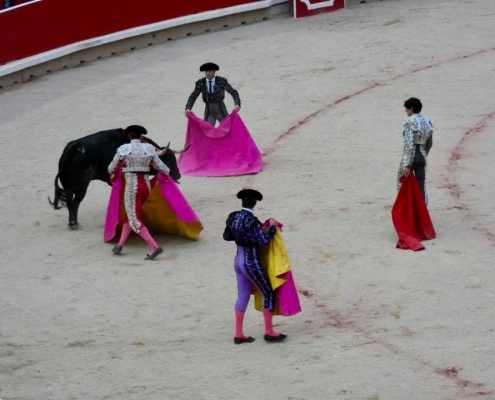 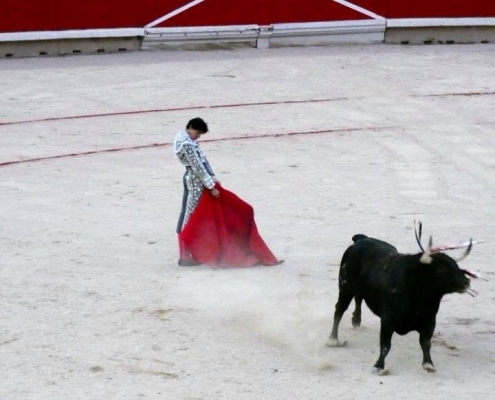 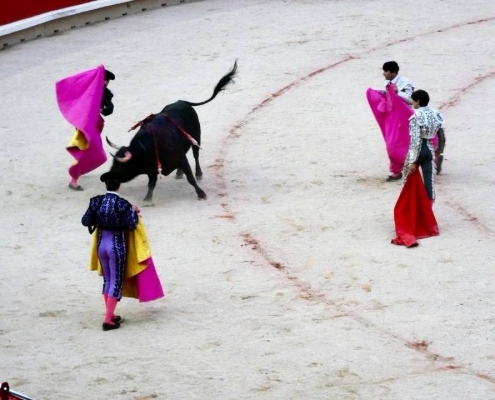 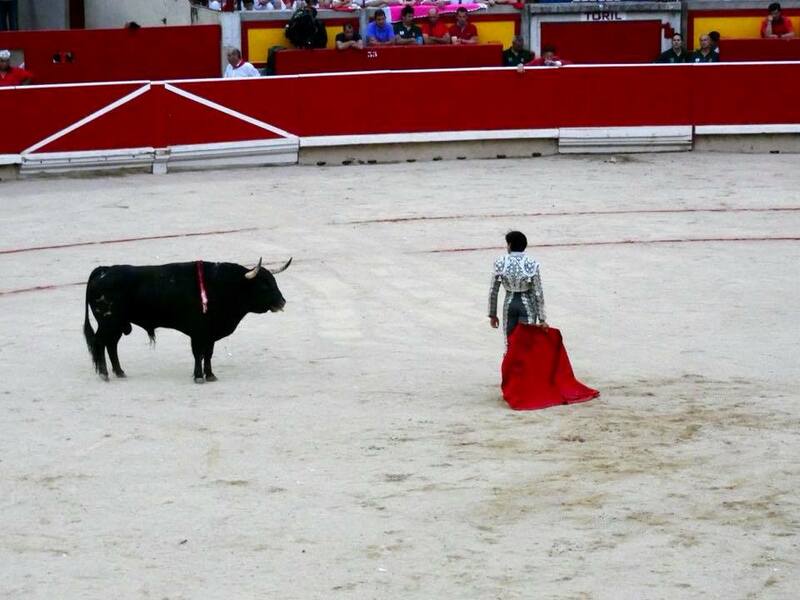 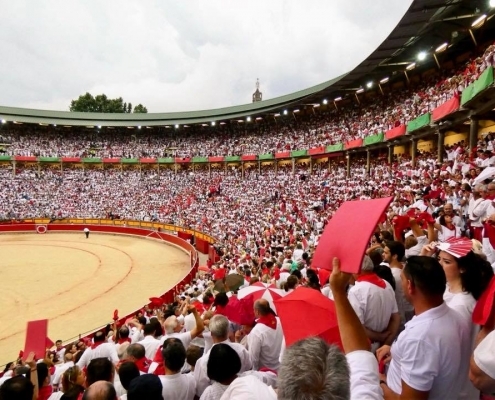 And the last fight I watched in Pamplona (before leaving – partially because the animal slaughter wasn’t something I enjoyed and partially because it started pouring rain). 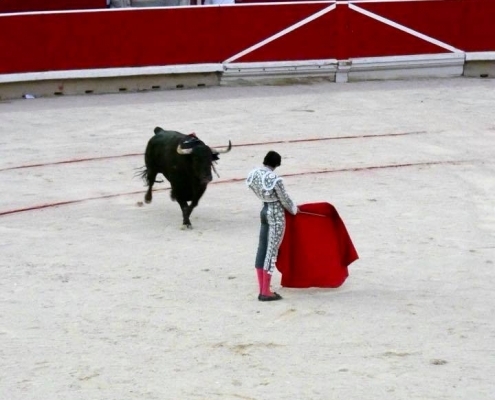 The matador got pretty seriously rammed by the bull in this one and even thrown up into the air to the gasps from the stadium audience. 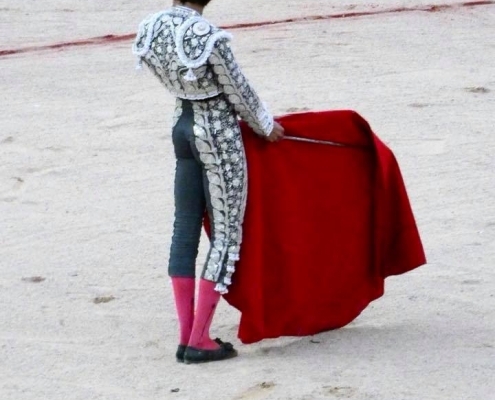 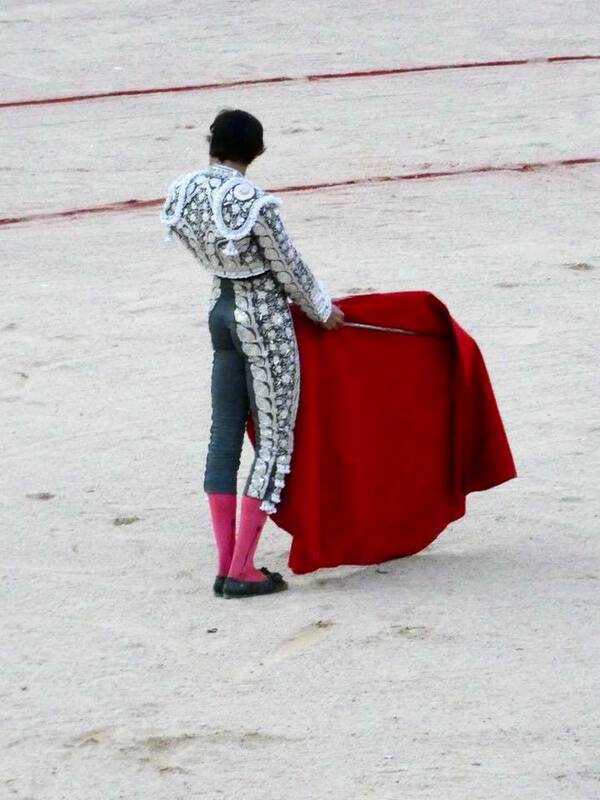 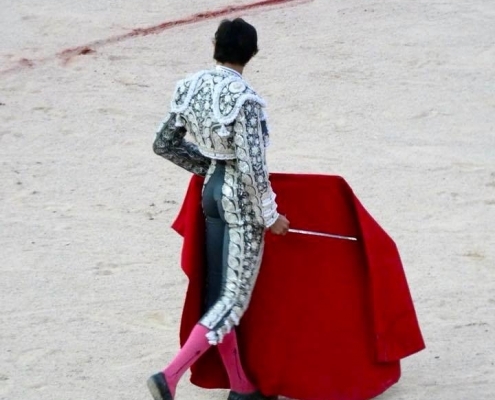 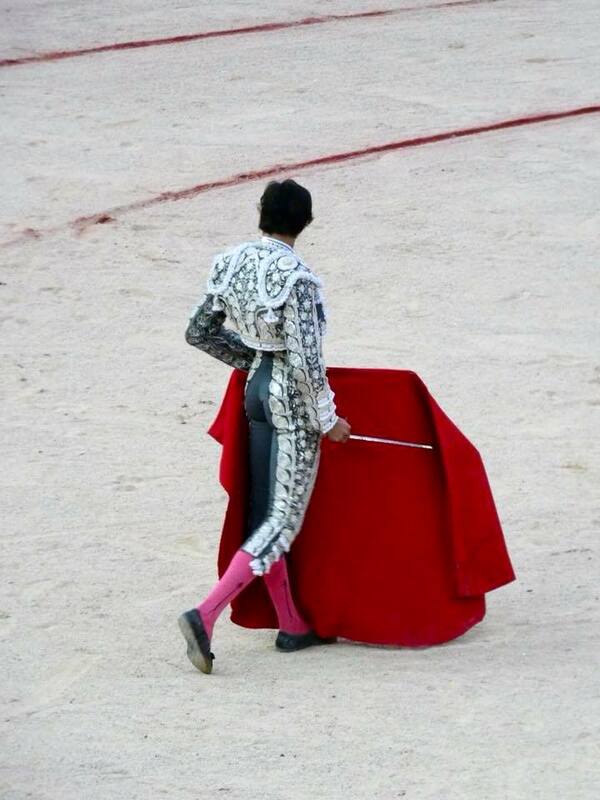 Injured and limping, he continued fighting the bull, having to use the sword twice before the bull finally succumbed, blood gushing from his nose and mouth and wobbly dropping dead. 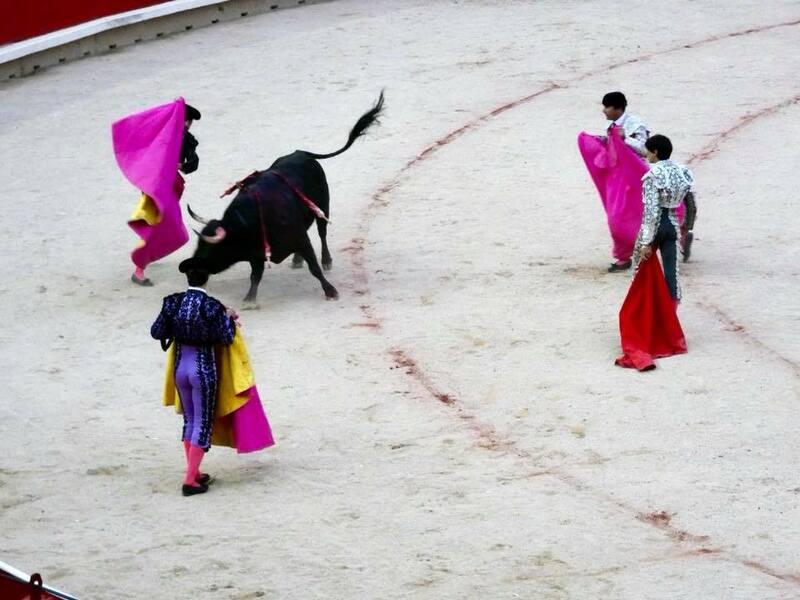 The blood-thirsty spectators erupted in roar!